Courant Institute, New York University. Laboratory for Entrepreneurship in Data Sciences. 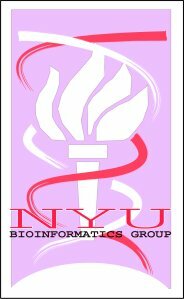 NYU School of Medicine, New York University. Simons Center for Quantitative Biology, Cold Spring Harbor Laboratory. Department of Human Genetics, Mt. Sinai School of Medicine. Rm. 405, 251 Mercer St, New York, NY 10012. Street Address: North-West Corner of Mercer and E 4th Street. Mail Address: Courant Inst, 251 Mercer St, New York, NY 10012, U.S.A.